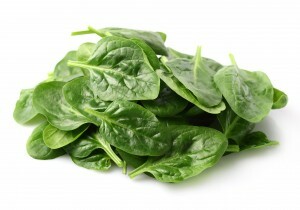 There have been two separate spinach recalls today, due to concerns of Salmonella contamination. Church Brothers has voluntarily recalled 560 bags of clipped spinach as a precaution, after one bag tested positive for Salmonella during a random sampling. The recalled product was processed on October 6, 2011 and shipped in 2.5 pound, clear bags, to Super King Markets in Los Angeles, California. The bagged spinach affected by this recall was available for sale beginning on October 7, 2011, and is stamped with a “best if used by” date of 10/23/11. The second spinach recall has been issued by Taylor Farms, for their H-E-B Spinach Spring Mix bagged salad product, as well as deli items that use the spinach. Salmonella, as we have written before, is a dangerous organism which can cause serious and sometimes fatal infections in young children, frail or elderly people and others with weakened immune systems. Symptoms can include fever, diarrhea, nausea, vomiting and abdominal pain. In rare circumstances, infection with Salmonella can result in the organism getting into the bloodstream and producing more severe illnesses such as arterial infections and arthritis. There have been no reports of illness to date with either manufactures product.